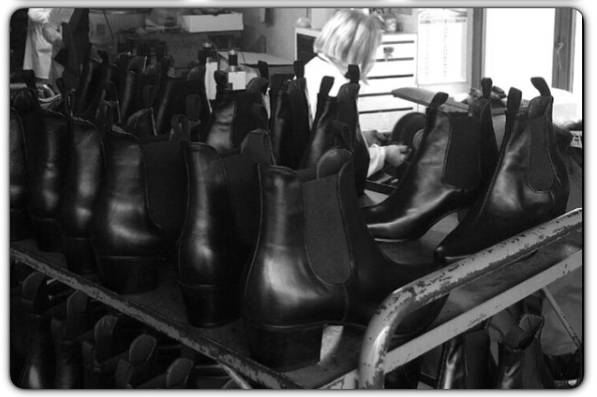 The Beatwear Cuban Heel Boot Collection. 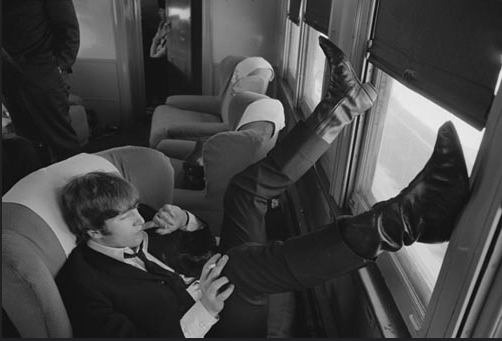 The Beatles and their cuban heel boots! 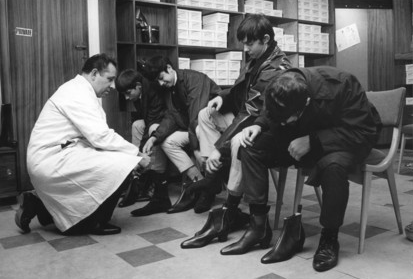 Our inspiration for the cuban heel boots came from the ones worn by The Beatles, The KInks, The Stones and their contemporaries in the 1960's. We think it is still an iconic timeless look, and thankfully a lot of you agree with us! Legend has it that in the 1960's the Beatles saw a pair of Flamenco Boots in a shop window and had shoemakers Annello & Davide make them something similar out of a traditional pair of chelsea boots with an added higher flamenco heel. The rest is history! All of our Beatwear brand footwear is manufactured in Italy, using leathers and suedes sourced in Italy. Our sought-after Beatwear boots come in eight fabulous styles now, most have a core line of black Italian leather and suede but with a few other, and more wilder, extravagant colours thrown in to mix it up a bit. Some colours are Limited Editions as the leathers are hard to come by and in small quantities so you can be guaranteed a unique look! Each Beatwear boot is handcrafted using the finest grade Italian Leathers and Suedes, the softest Italian leather linings and finished with an Italian leather sole (no resin soles on our boots!). It is Italian craftsmanship at it's best! Each step of the production is carefully carried out by the highly skilled artisans in small family run factories in a beautiful area of Italy. These factory workers have honed their skills over many years and passed their expertise down through the generations, made in the traditional way, and achieving a quality that they and we are extremely proud of. We offer a lower Cuban heel version in some styles along with the higher Cuban heel, as we know that the height is not to everyone’s taste. Since the addition of the DC5 and The Ringo styles, we now offer 3 different heel heights! The Beatwear boots are based on the original patterns and lasts from the 1960’s – but we have tweaked them a bit to give a more comfortable fit! Our boots can now be lovingly worn for longer whether it is up and down the high street or night after night on stage. Brand new to the Beatwear Collection is the DC5 & Ringo Range, the Beatwear Shoe range ...and the long awaited Women's range of Cuban Heel Boots, however we do have a lot of women who buy the smaller men's sizes already! Delyth Cole / Sixties Ltd.